It's My Birthday... Finally Activity and Workbook is designed to be fun and educational for the student, teacher and parent, and is created to enhance the learning experience of the original storybook. Each section includes a word list, reading comprehension and learning activities. 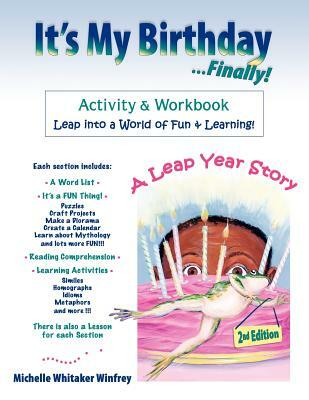 Leap into a world of Fun and Learning!